One pair of furry, fingerless mitts does not a costume make. 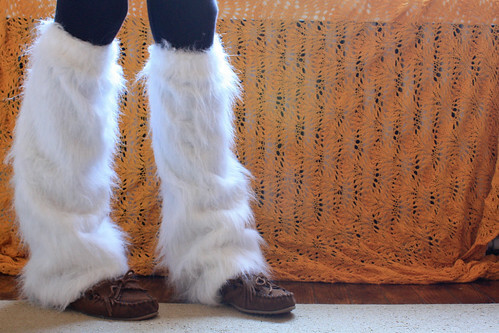 And so, I introduce to you furry leg warmers sewn from not-knit fabric. It seems to be a common pastime to turn one's old sweaters into leg warmers, but using less stretchy material seems rather rare. 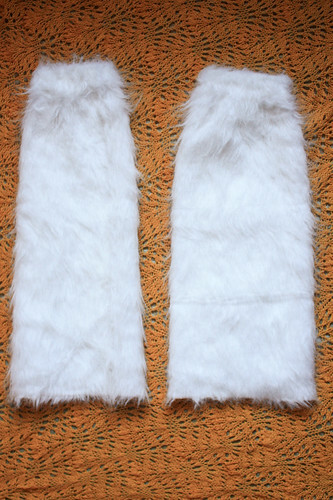 Here are the steps I followed to make my furry leg warmers, heavily inspired by Brody Qat's project. The "scrunch amount" is necessary for wearing with heels, as well. 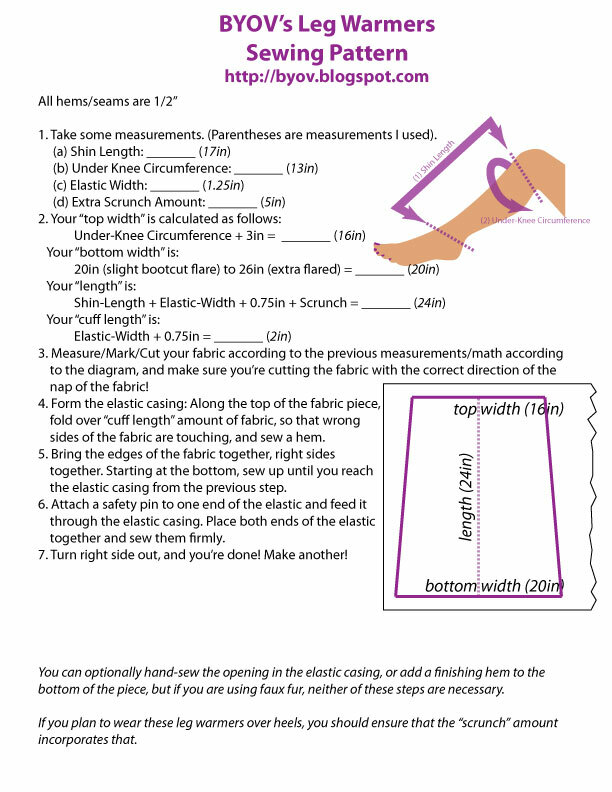 Sewing needle, thread, scissors, etc. 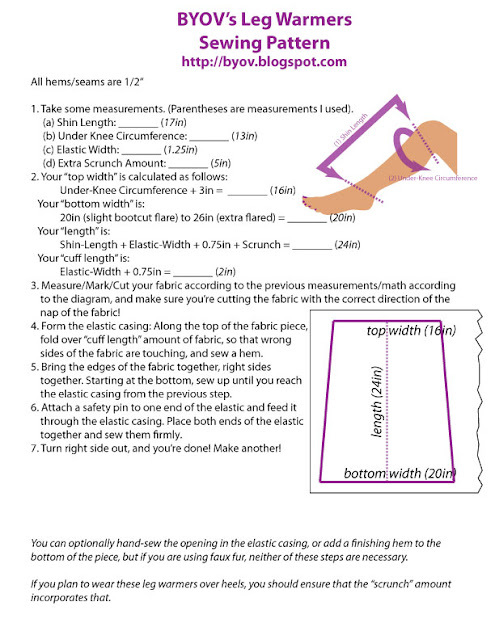 The instructions are fairly basic, with only a minimal amount of math, and I give the measurements I used as an example. Although, if you're shorter than 5'11", my measurements will be way too long. Remember to pull the long fur out of the seams with a pin. It makes the seams disappear! OMG. Like a cute little sheep. These are darling. I don't know if I could ever pull those off, but they are so cute! Is this for your Halloween costume? It's a great idea! Ahh yes, belly dancers really are serious costumers. This is shaping up to be a pretty fantastic Halloween costume! I just made these and your directions are so great! Thx!